Dynamix is often called on for its process experience in many industries because the mixer is at the heart of these processes. DAF systems are used across many industries with many unique requirements which Dynamix is familiar with. There really isn’t a one size fits all or a configuration template that works for all processes when it comes to DAF systems. 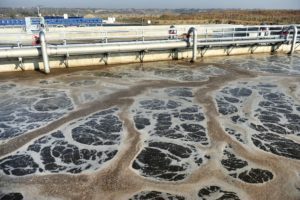 Coagulation and flocculation of wastewater. 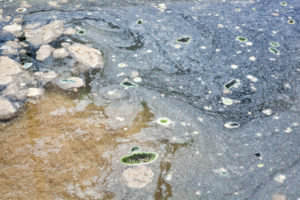 Ideally, the Dissolved Air Flotation (DAF) process is used for thickening of combined primary and secondary sludge removing low-density materials such as microorganisms (algae, cysts), natural organic matter (NOM) and floc in low turbidity, soft waters (typically using coagulation and flocculation). Typically, DAF systems are a faster and more reliable alternative to sedimentation in the clarification stages prior to membrane filtration. DAF systems are great because they maintain condensed flocculation stages with detention times that can be as low as 5 to 10 minutes rather than longer times often seen in gravity clarification processes. Complete DAF systems generally involve a combination of the following process stages that may or may not include more than one tank per stage. 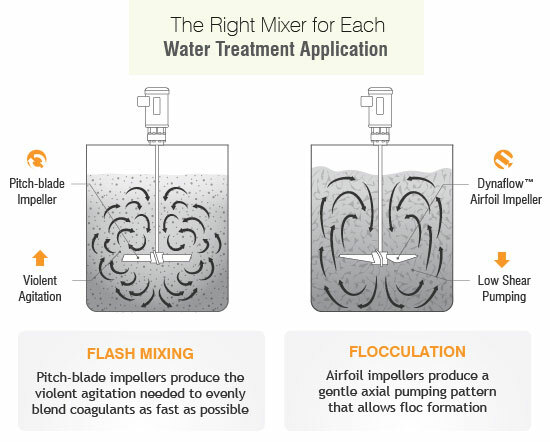 Flash Mixing/ Coagulation – dosages of coagulant chemicals mixed with wastewater to induce chemical reactions. High-energy, rapid-mixing promotes particle collisions and good coagulation.Highly calibrated industrial mixers are required. Flocculation – gentle, low energy mixing that transforms particle size from submicroscopic to visible flocculated suspended particles. The use of a VFD ( variable-frequency drive) on a lower speed industrial mixer is can be used for greater speed reductions if required. Dissolved Air Flotation – a floatation tank pumped with pressurized dissolved air bubbles that help suspend flocculated particles to the surface forming what’s called a ‘floc-foam bed’ which is then scrapped or skimmed off. Remaining solids that don’t float eventually sink and concentrate at the bottom of the DAF tank, then discharged via drain valve. 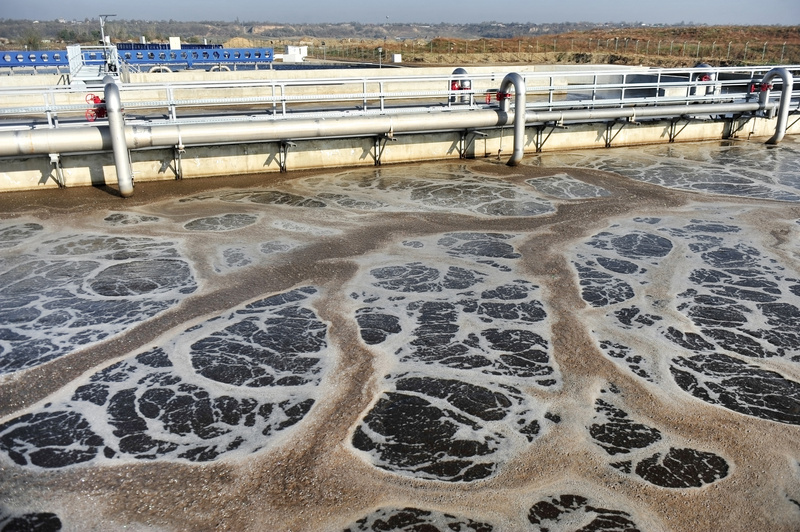 Filtration – clarified water flows out the DAF tank via an under-over weir into a clarification membrane filtration tank where further treatment is needed to completely remove BOD from wastewater using microscopic filtration cells. Proper industrial mixer application requires both knowledgeable personnel and an ability to design the equipment for the process. This resulting mixing solution plays a large role in the quality of the entire Water Treatment Train both the larger process and the DAF section. Generally speaking, factors such as proper chemical emulsion, molecular reactions and sufficient detention times in correlation to chemical dosage and ultimately proper removal of TSS, BOD and FOG. 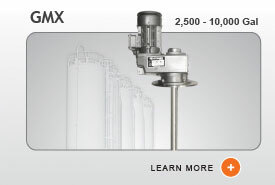 Both processes require a delicate approach to mixer design calculations. For instance, in flash mixing shorter mixing times have a profound influence on the effectiveness during the destabilization process – flocs are dependent on applied rapid shear conditions as longer exposure to high shear deteriorates the bonding strength between primary particles and reduces collision efficiency for small flocs causing a lower Flocculation Index (FI) value. For instance, a flash mixing tank’s optimal detention time is 10-30 seconds while the detention time of a flocculation tank is much greater, around 30-60 minutes. Calculation differences between a flash mix tank and a flocculation tank depend on detention time, the velocity gradient, specific gravity and the tank’s physical geometry and flow capacity. Flash Mixing becomes more fundamental where highly turbid raw wastewater contains higher particle collision-rates due to the high concentration of particles – rapid mixing increases adsorption and floc formation time due to the fast interactions thus increasing the FI values with shorter fast mixing times. While mixing, the coagulant should be dispersed at a given mixing intensity between G-Value of 400 to 800 sec-1. DAF systems are reliant on Flash Mixing efficiencies so it is important to avoid oversizing which may lead to excessive energy consumption, over-shearing, and higher capital expenditures. Insufficient mixing with poorly designed industrial mixers may necessitate the addition of excessive coagulants which adds to chemical cost and poor operational performance of the DAF system. 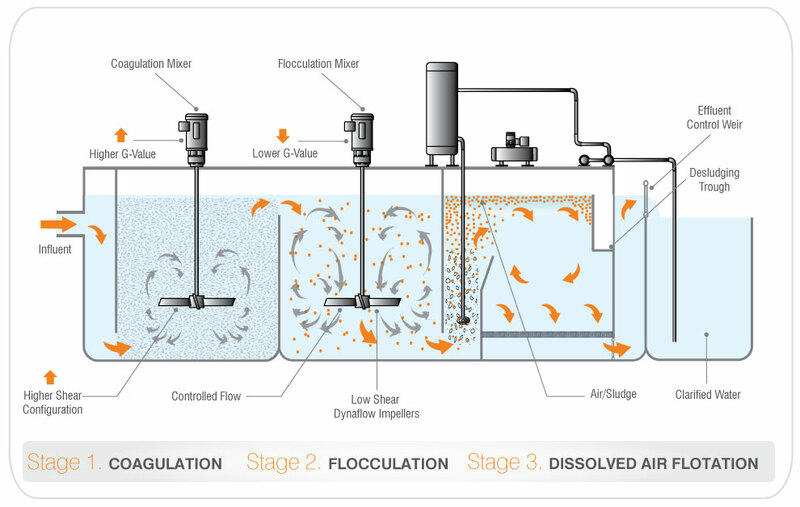 Flocculation mixing tanks should be equipped with slow/ gentle mixing process in which particles are brought into contact in order to promote their agglomeration and proper floc formation through gradual distribution. There is no control or capability to change shear rate once the mixing energy is set by the design of the unit because pressure drop is a limiting performance factor in mixing. Therefore, using industrial mixers equipped with variable speed control options and low shear impeller blades are recommended to avoid floc damage while the slower speeds provide longer retention times to ensure affluent characteristics are properly changed within the 30-60 minutes. See our Blogs on Lime Slurry, Denitrification …What else are you interested in reading about? 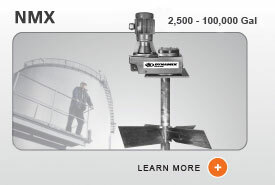 For more information on all Dynamix mixer lines, visit our Product page.